Shannon lives in Madison, Alabama and works for Athens State University. She studies Psychology at Athens State University. 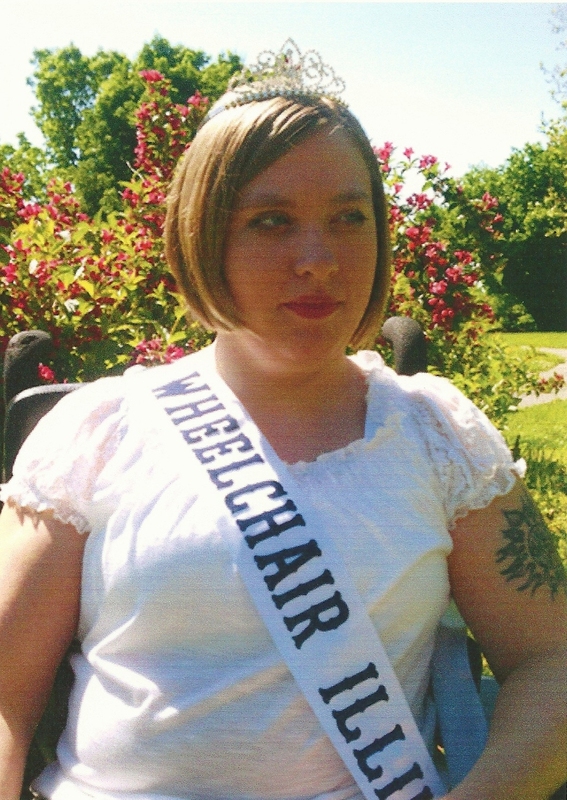 Shannon enjoys swimming, bowling and helping others. She has a spinal cord injury from a car accident. Shannon describes herself as motivated, loving, and fun. KenDara lives in Littleton Colorado. 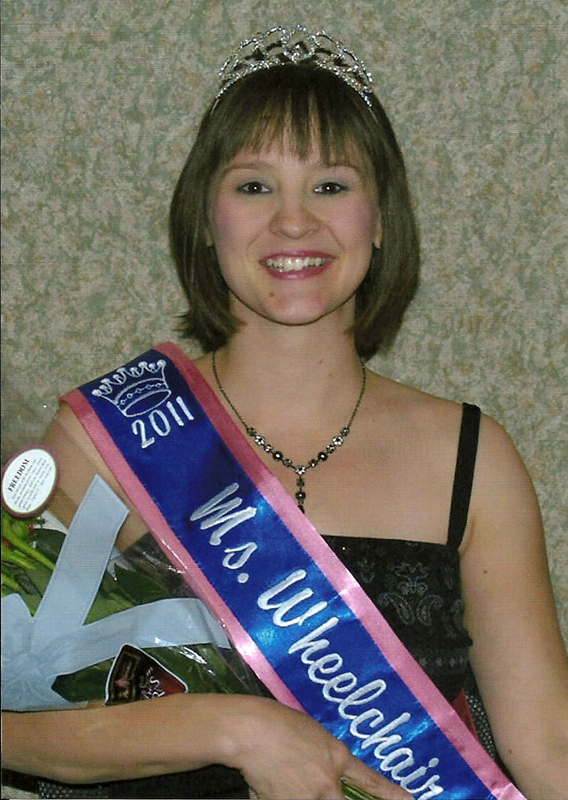 She studied business at Hastings College in Nebraska. KenDara enjoys leg lifts, arm lifts and wheeling around her Cul-de-sac. She has a brain injury. KenDara describes herself as funny, happy and determined. 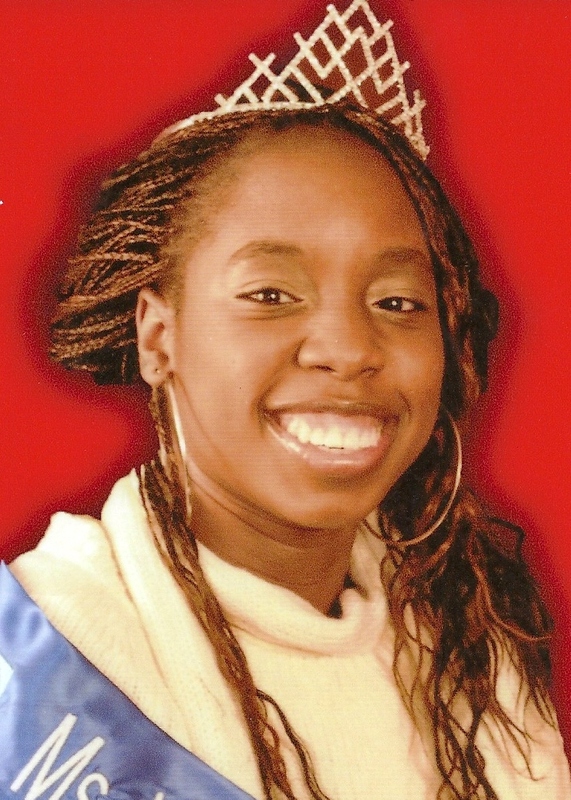 Jameika lives in Washington DC and works at Rehoboth Child Development Center. She received a Bachelor’s Degree from Trinity University. 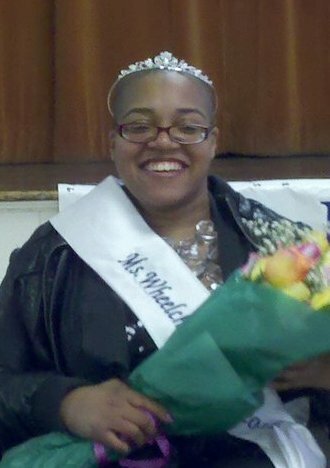 Jameika enjoys reading, shopping, internet, and once a month peer counseling group. She has Cerebral Palsy. Jameika Andrews describes herself as outspoken, loving, and caring. Mayra lives in Tampa, Florida and works for Hillsborough Recreation Department at All Peoples Life Center. She obtained a degree in Administrative Assistant from Erwin Technical Center. 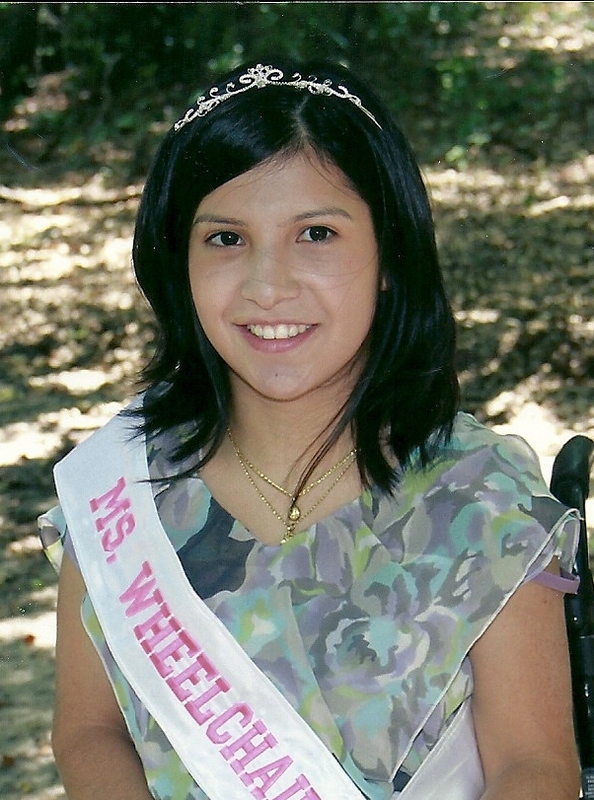 Mayra enjoys being an active member of the Tampa Bay Paralympic Sports. She has Cerebral Palsy. Mayra describes herself as ambitious, motivated, and kind-hearted. Susannah lives in Kamuela, Hawaii and works at Big Island Substance Abuse Council. She received her certification from Sand Island Treatment Center. Susannah enjoys animals, animals, and animals. She is a partial paraplegic. Susannah describes herself as able, honest, and curious. Wendy lives in Bethalto, Illinois and is a freelance writer. She received a Bachelor’s of Science in Mass Communication from Southern Illinois University Edwardsville. Wendy enjoys writing, listening to music and being outdoors. She has Cerebral Palsy. 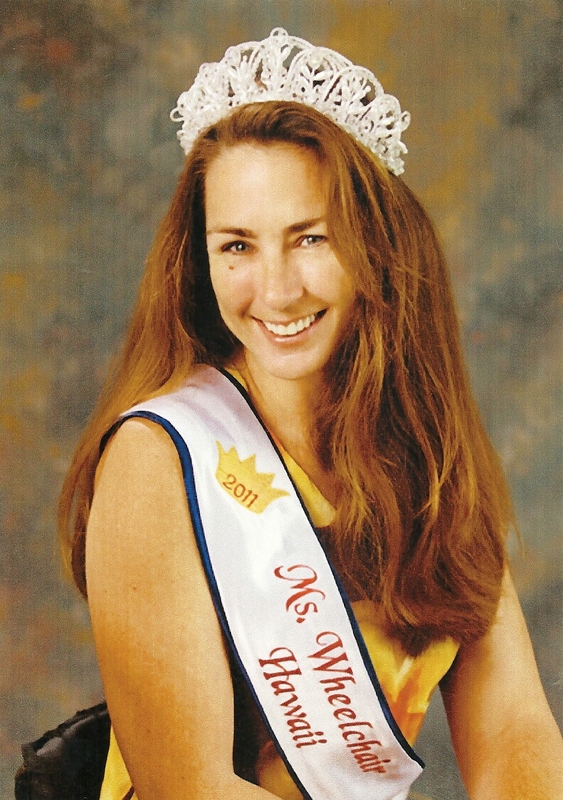 Wendy describes herself as outspoken, driven, and unique. Jodi lives in Indianapolis, Indiana and volunteers around the state, in various capacities. She obtained a Bachelor’s of Science in Psychology from The College if Mount St. Joseph. 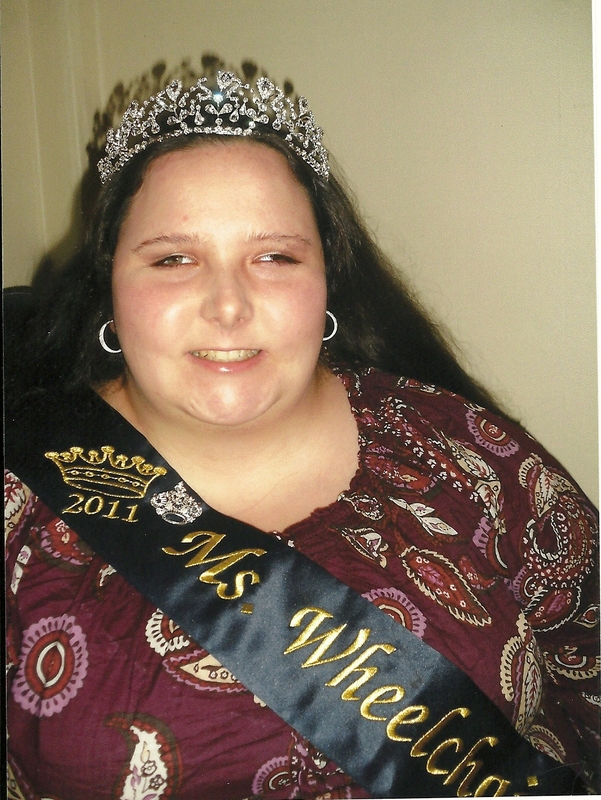 Jodi enjoys singing, various different art mediums, working with children, and playing adaptive sports. She has Generalized Dystonia and Spastic Quadriplegia. Jodi describes herself as artistic, determined, and compassionate. 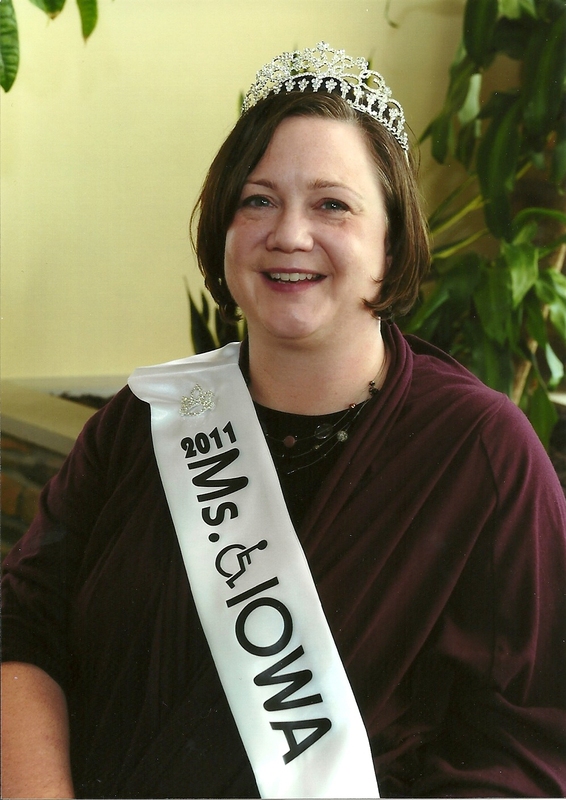 Jennifer lives in Waverly, Iowa and works at Taylor Physical and Occupational Therapy at the Waverly Health Center. She obtained a Master’s degree of Occupational Therapy from the College of St. Catherine. Jennifer enjoys spending time with friends and family, volunteering in her community, continuing her education and traveling. She is a paraplegic due to an Ependymoma. Jennifer describes herself as an advocate, positive, and an “out of the box” thinker. Jenny lives in Wichita, Kansas and works at Koch Industries, Inc. She obtained a Bachelor’s in Business Administration from Fort Hays State University. Jenny enjoys being a Girl Scout Troop leader, participating in wheelchair sports, such as tennis and horseback riding, as well as being a mom to two girls, Kelsie and Karlie. Jenny describes herself as driven, hardworking, and dedicated. Stacey lives in Dry Ridge, Kentucky with her husband and their three children. Stacey holds the Guinness Book of World Records as the ‘smallest mom’. Stacey enjoys spending time with her wonderful husband and God sent children, talking and interviewing around the world. 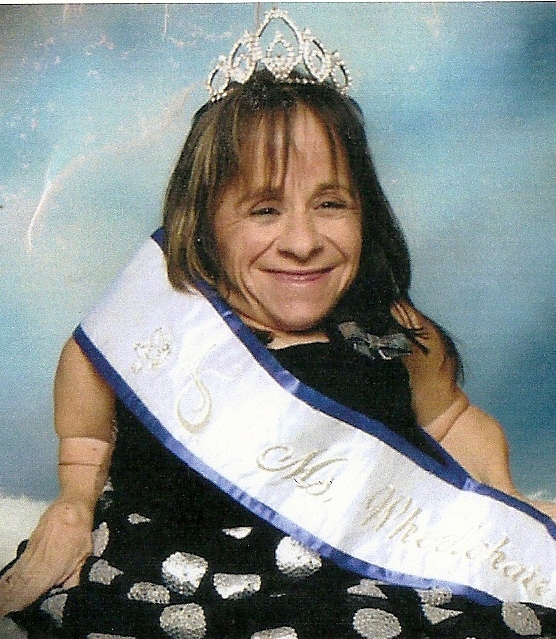 She has Osteogenesis Imperfecta Type III. Stacey describes herself as fun, enthusiastic and energetic. Monica lives in Scarborough, Maine and teaches at Southern Maine Community College. She obtained a Master of Science Degree in Higher Education: College Teaching and Learning from Kaplan University. 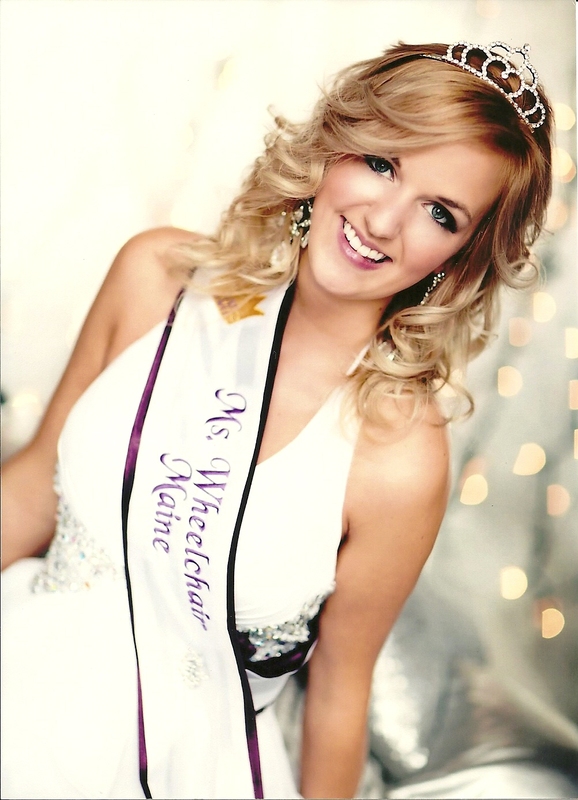 Monica enjoys adaptive waterskiing, watercolor painting, traveling, and mentoring students. She has a Spinal cord Injury. Monica describes herself as ambitious, positive, and friendly. Sharonda lives in Fort Washington, Maryland and works at the Department of Treasury, FMS. She is pursuing a Bachelor’s of Science in Business Administration from University of Maryland University College. Sharonda enjoys praising the Lord, spending quiet time with her husband, Darryl, and children, and helping people with disabilities with disabilities excel. She has Limb Girdle Muscular Dystrophy. Sharonda describes herself as inspirational, enthusiastic and determined. 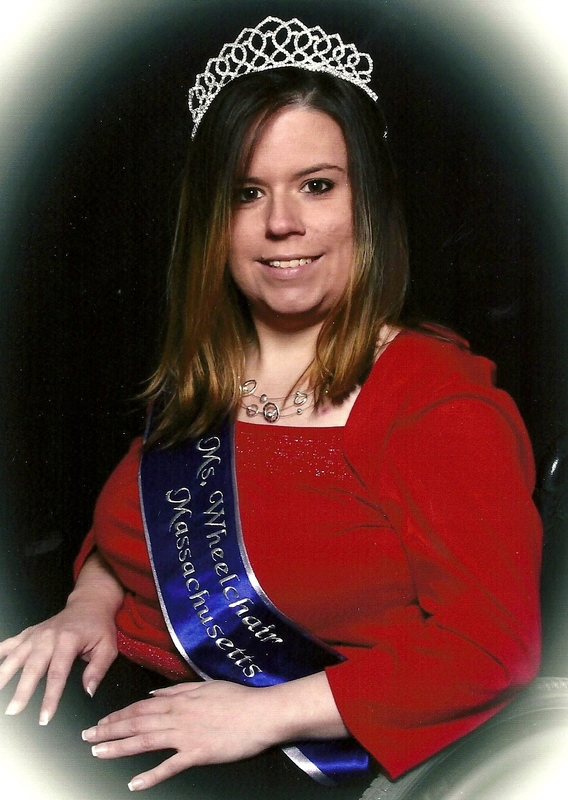 Megan lives in Quincy, Massachusetts and works at Wal-Mart. She obtained a nail technician certificate from Mansfield Beauty School. Megan enjoys the outdoors, music, and animals. She has Spina Bifada. Megan describes herself as out-going, humorous, and energetic. Sharina lives in Troy, Michigan and founded Think Beyond the Chair, Inc. She earned a Master of Business Administration from Wayne State University. 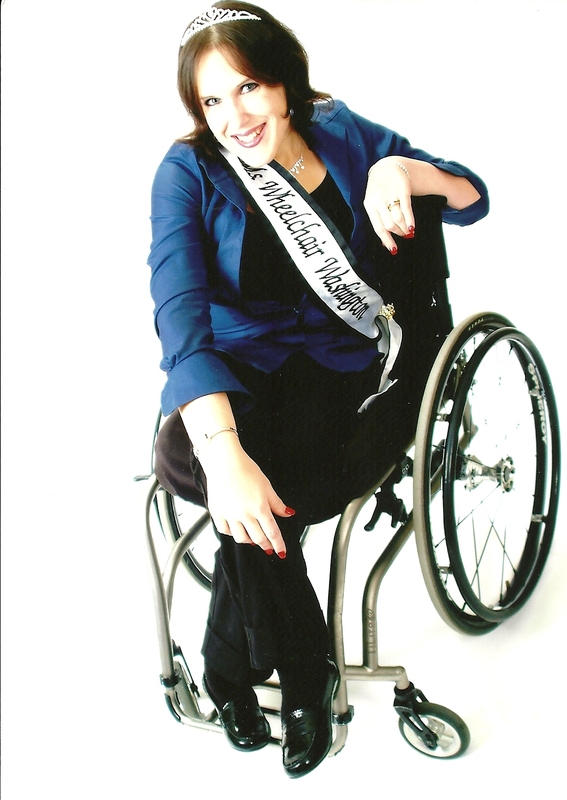 Sharina enjoys handcycling, writing, swimming and breaking down attitudinal barriers. She is a gunshot survivor paraplegic. Sharina describes herself as determined, versatile, and a motivator. Jenni lives in Minnetonka, Minnesota and is a motivational speaker. She studies communications at Normandale Community College. Jenni enjoys motivational speaking, volunteering, writing and painting with her mouth. 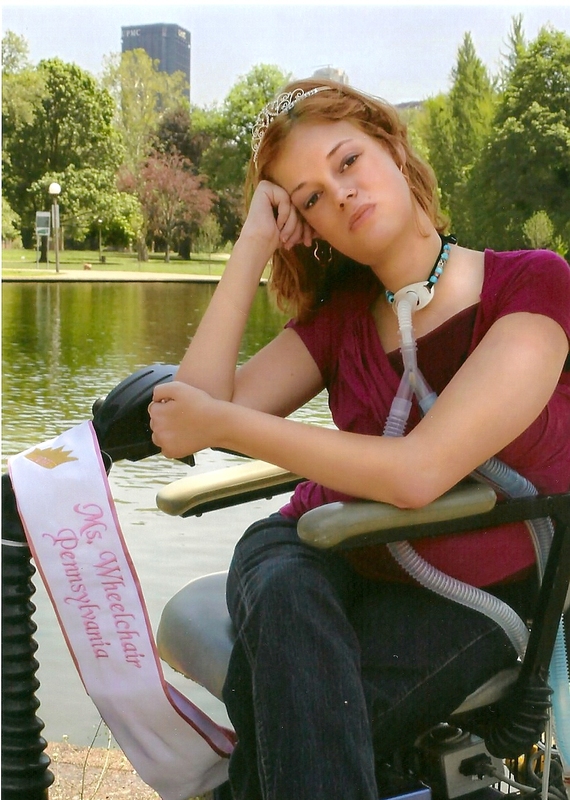 She is a C1-C2 Quadriplegic on a ventilator. Jenni describes herself as positive, outgoing, and creative. Joann lives in Hastings, Nebraska. She studied at Eastern Nazarene College. Joann enjoys time with family and friends, church activities, traveling and time in the great outdoors, of course documenting everything with pictures which must be scrapbooked. She has Reflex Sympathetic Dystrophy. Joann describes herself as passionate, fun loving and tenacious. Luticha lives in West Henrietta, New York and is currently a student in Bioinformatics at the Rochester Institute of Technology. Luticha enjoys crocheting in 3D, traveling, being with friends and studying science. She is an incomplete quadriplegic. Luticha describes herself as quirky, sparkly, and nerdy. Elizabeth lives in Winston Salem, North Carolina and works at Carolina Veterinary Specialists. Elizabeth enjoys spending time with family and friends, playing with her dogs, and going out on dates with her husband. She has a Spinal Cord Injury. Elizabeth describes herself as positive, brave, and outgoing. Margaret lives in Cincinnati, Ohio and is a community activist and volunteers for several violence prevention and intervention efforts. She studied at Hughes Career Center in Cincinnati and is currently attending Ashworth College and Career Center. Margaret enjoys skydiving, making candles, and public speaking. 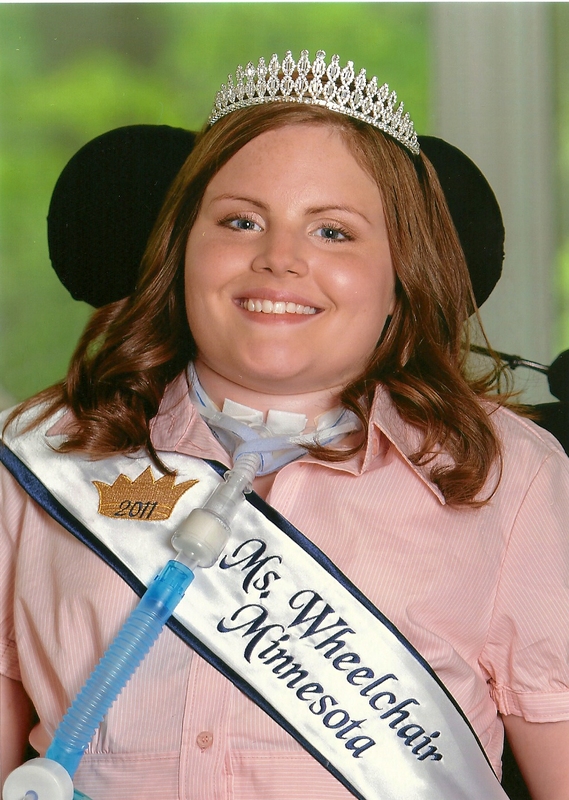 She has a C6-C7 Spinal Cord Injury that caused her quadriplegia. Margaret describes herself as courageous, hopeful, and inspirational. Josie lives in Pittsburgh, Pennsylvania and works at the PEAL Center as a youth coordinator. She received a Master’s Degree in Rehabilitation Counseling from University of Pittsburgh and is finishing a PhD in Healthcare Ethics from Duquesne University. She has a rare form of Muscular Dystrophy. Josie describes herself as passionate, dedicated and a visionary. Dawn lives in Warwick, Rhode Island. She obtained a Human Service’s degree from Community College of Rhode Island. Dawn enjoys reading, taking art classes, and advocating for people with disabilities. She has Congenital Myopathy. Dawn describes herself as friendly, motivated and empathetic. Amanda lives in Stephenville, Texas and interprets for the deaf in Granbury ISD. 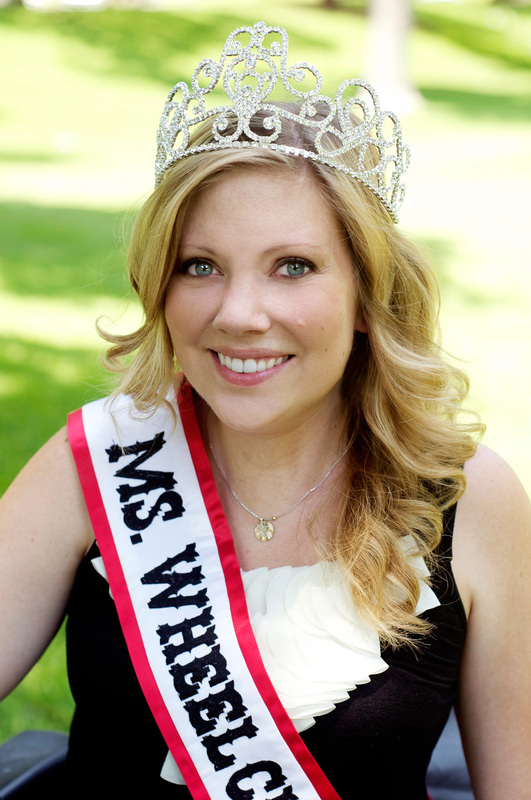 She received a Bachelor of Science in Communication from Tarleton State University. Amanda enjoys here work with Camp Craig Allen, 501(c)(3) and the America Legion Auxiliary. She has Muscular Dystrophy. Amanda describes herself as friendly, creative, and compassionate. Sandra lives in Logan, Utah. 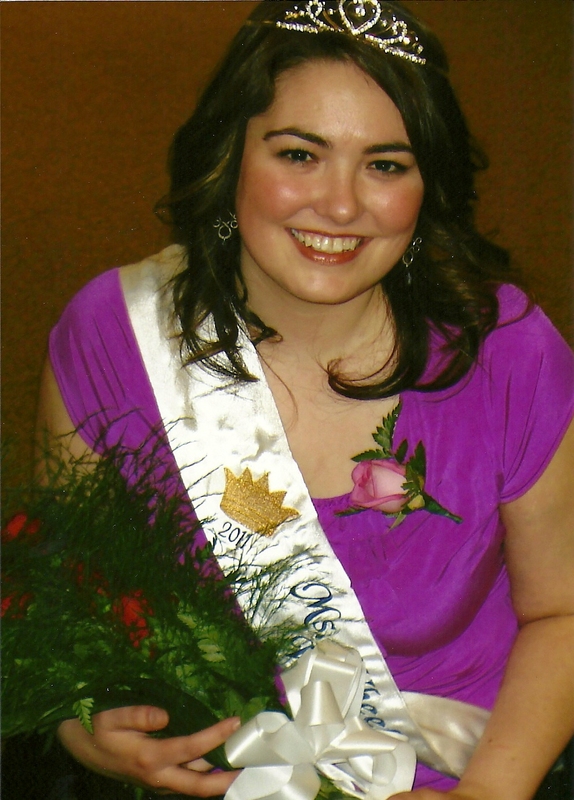 She is currently studying Elementary Education from Utah State University. Sandra enjoys bowling, singing, and hanging out with friends. She is a quadriplegic. Sandra describes herself as optimistic, compassionate, and energetic. Emily lives in Radford, Virginia and is a former elementary school teacher. She received a Bachelor’s of Science in Interdisciplinary Studies from Radford University. Emily enjoys traveling, home improvement, bargain hunting and spending time with friends and family. She has complications from radiation therapy for a spinal cord tumor. Emily describes herself as accomplished, sensible, and quirky. Kendra lives in Bonney Lake, Washington and works at SanMar Corporation. She studied for a Masters of Business Administration with an emphasis in Project Management from City University of Seattle. 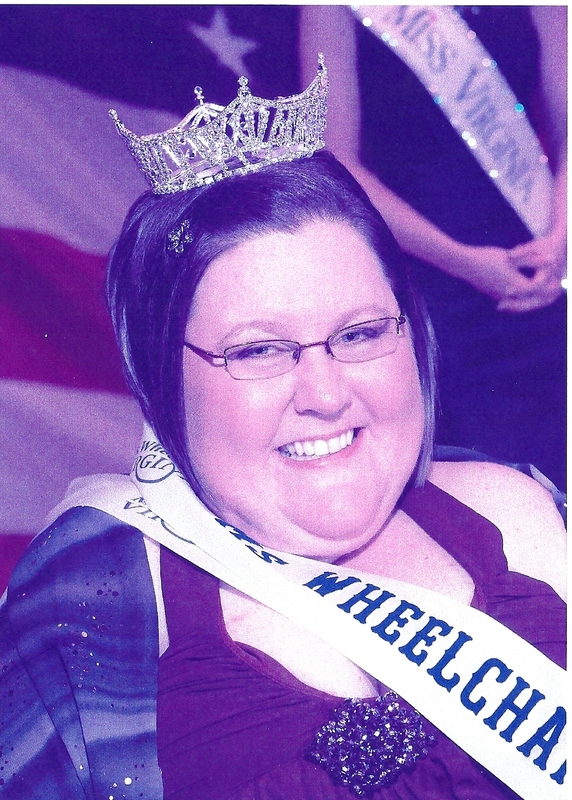 Kendra enjoys handcycling, spending time with friends and family, and reading a good book. She has Sacral Agenesis. Kendra describes herself as ambitious, tenacious, and caring. 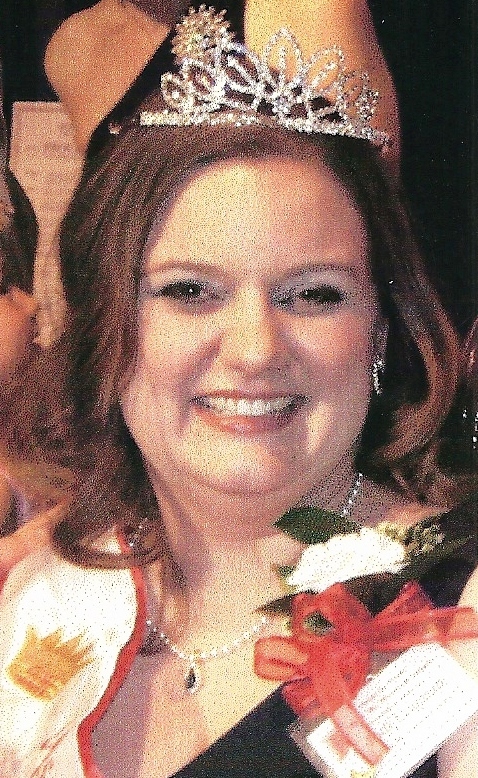 Kristin lives in Beloit, Wisconsin and works at Mercy Health System. She received a Marketing Degree from Blackhawk Technical College. Kristin enjoys volunteering, wine tasting and raising mini-dachshunds. She is a T12 paraplegic due to Lupus with a secondary of transverse Myelitis. Kristin describes herself as optimistic, giving, and kind. Ladies, Let me first say it you are all beautiful women, I know how hard you must have worked to be crowned. This past week has been especially trying for you all. I got to meet alot of you the past few days. It was my honor to meet the ones I did. I hope you all continue to work your platfroms to help others that can not do it. 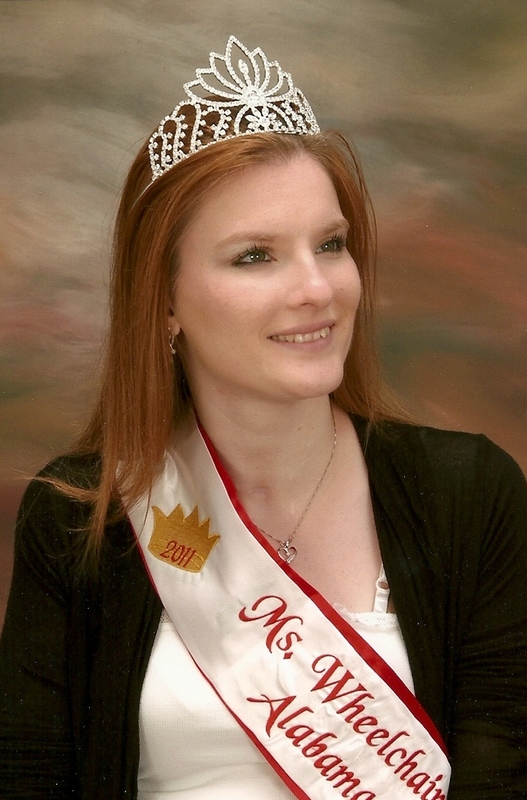 God Bless you all and good luck Ms Pennsylvania,,, You touched my heart as well, as I was born and raised in Pa.
Im sorry you didnt win it all Shannon, but to me you will always be my princess. God has more plans for you in the future. I love you so much, keep up the good work and keep your faith and friendly , outgoing personality. Congratulations to all the contestants. You all did well on your platform speech. Remember only one person can roll away with the title, and even if you were not the one to roll away with it you are still a winner! Everyone is amzing and awesome. You all are winners and have accomplished so much! Congratulations to all of you! Good luck in the competition Jenn Wolff (IA) I’m rooting for you! Hope all the ladies are having a wonderful time! Ladies remember you are all winners, you made it this far!!!!! I look forward to meeting you all this week!!! PS Mia says good luck too and if you haven’t met her you will by the end of the week. Ladies how was the first two days of your experience in Ms. Wheelchair America? Knowing how the previous years have gone, you should have had your orientation on Monday and then fun day on Tuesday. Are you having a wonderful time? Is there anything unique that has happened since your week began? Hope all is going well. Please know I am thinking of each of you as your week goes and wish all of you the best of luck! Congratulations ladies! Keep up the great work. Remember this week is about you. Dont try to change to impress the judges, but instead be yourself…. You all are exceptional young ladies! I would love to be there with all of you. 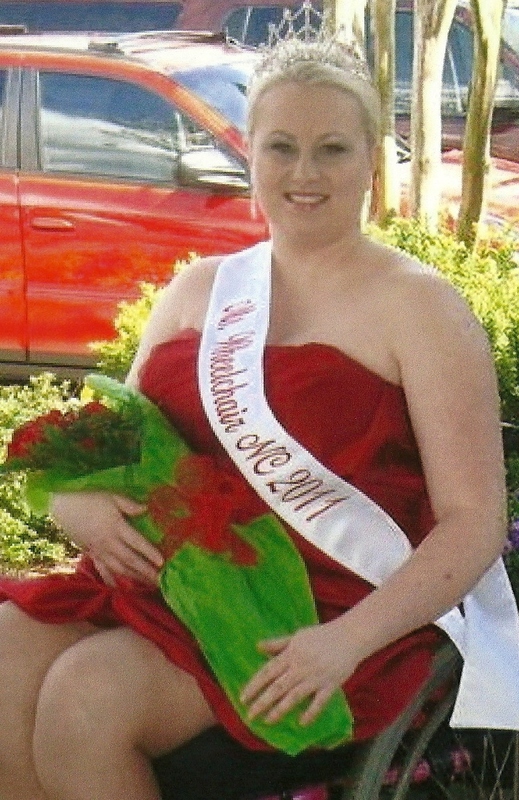 As Ms.Wheelchair Nebraska 2010 I had a great time and met amazing women of accomplishments! All the new titleholders sound amazing and wonderful! Have a great week! Alabama is so proud of you and your accomplishments Shannon Roberts, we will be following your progress thoughout the week. All the best, you will do great! I am so happy that we all have been spoken of in a positive manner. I do have the “gift of gab,” and I promise I’ll try to keep my postings brief. Thank you for all that you do, and will be doing in the future for all of us. Have a wonderful weekend! What insperational stories from all of you!!!! You give me such a different perspective on my own life… so many times we take too many things for granted. My cousin, Stacey, is Ms. 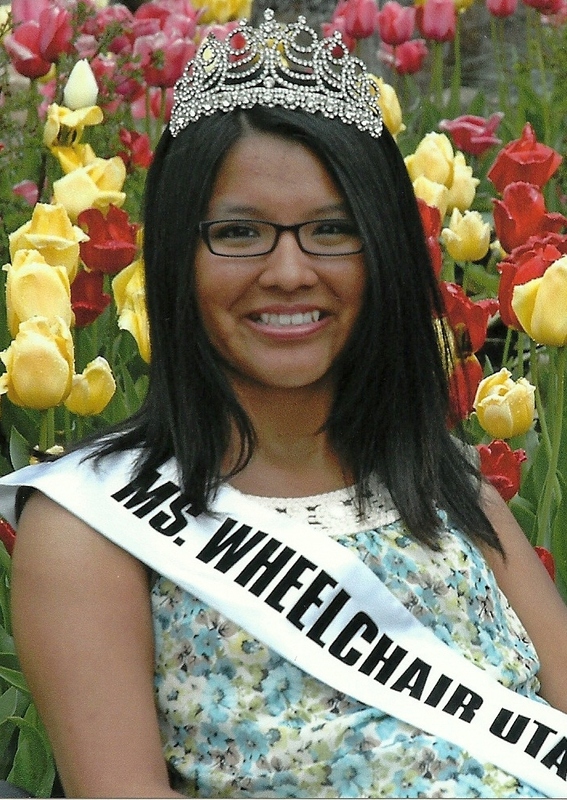 Wheelchair Kentucky and competing this year and of course (sorry ladies) hopes she wins! 🙂 You all have such great, positive, uplifting stories and wish you all the best of luck in all your journeys. I hope you all have a ton of fun and meet life long friends! The most important thing to remeber is to enjoy your time together and have fun! 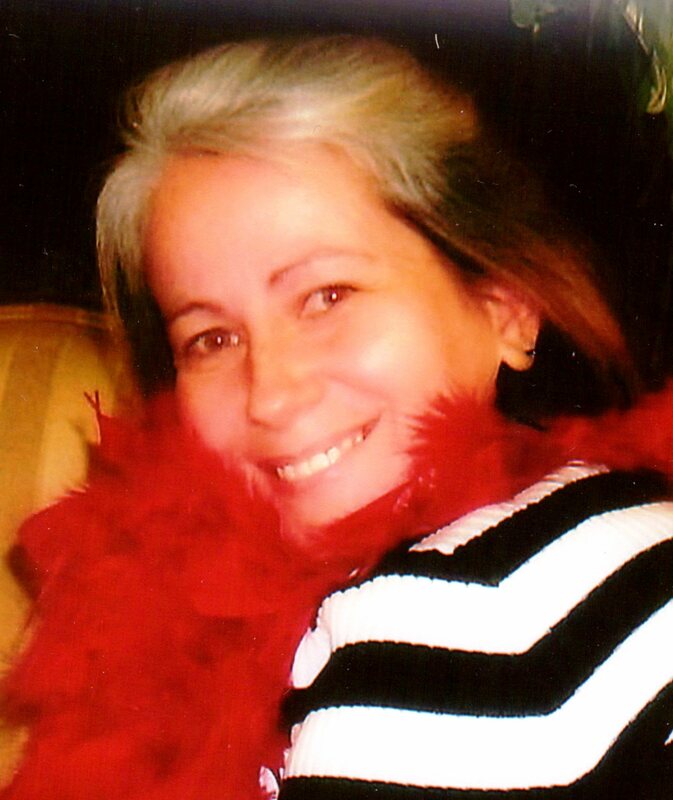 I am from Alabama, I would love to chat with Shannon Roberts (Ms. Wheelchair Alabama). 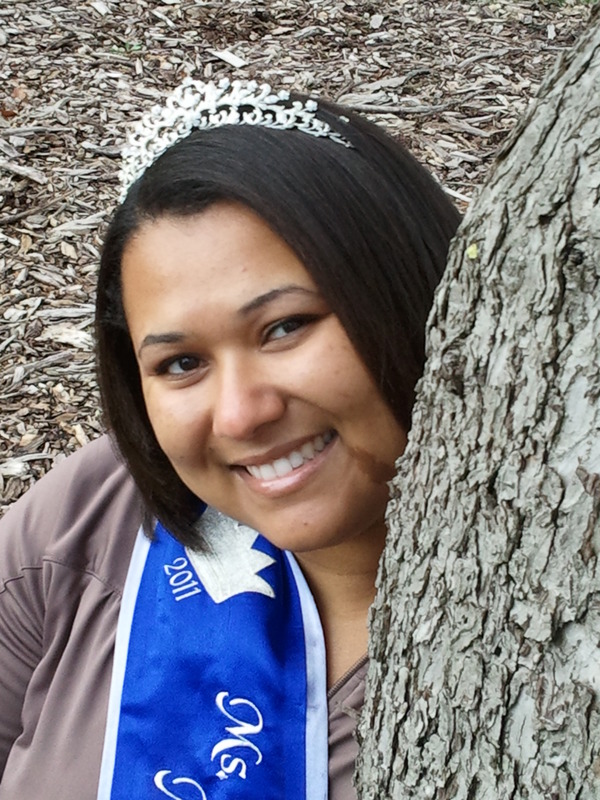 My son has Transverse Myelitis as does Ms. Wisconsin. I would love to get involved with this. Hello Joann, it’s me Ms. 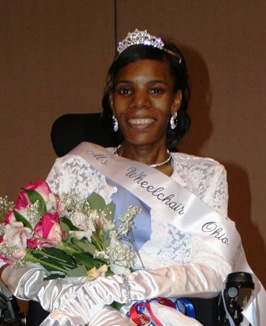 Wheelchair MD 2011 aka Sharonda Johnson-Wilkes. I am so excited, and I can’t wait to meet everyone, as well. I have heard so many things about the Ms. 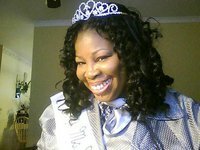 Wheelchair America pageant, and in 3 days I’ll be able experience the MWA pageant’s adventures myself. This will be my first time flying in an airplane, but I assure you it will not be my last trip on an airplane. Honestly, I cannot believe how swiftly time has past by, it truly seem like just yesterday the words were uttered, “And, the newly crowned Ms. 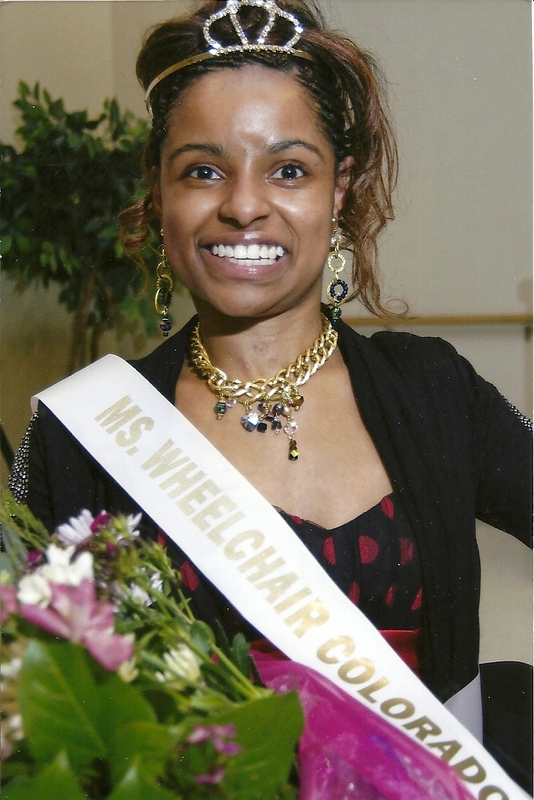 Wheelchair MD is SHARONDA JOHNSON-WILKES!” I had to exclaim the last part to you (smile). Have a “Fantastic Friday,” and enjoy your weekend. Good Luck Ladies Have A Fantastic week. You are all amazing women! I’m so very excited to meet everyone! What an impressive list of ladies! Hello MWWI, there is truly excitement in the air for a group of phenomenal women, and I’m sure we will all of the time of our lives. Have a wonderful weekend, and I’ll see you soon. Way To Go Girls!!!! You all are so inspirational! Good Luck!!! Thank you Pam, and enjoy your weekend. Congratulations to you all…so excited to meet you all in Grand Rapids! Thank you Autumn…my excitement level has escalated, just by reading and adding comments to all of your postings. I’ll see you soon, and have a wonderful weekend. I want to read about all the ladies that will be competing!! I cannot wait to post the bio information of our contestants! I have heard WONDERFUL things about all of them! See you all in Michigan!